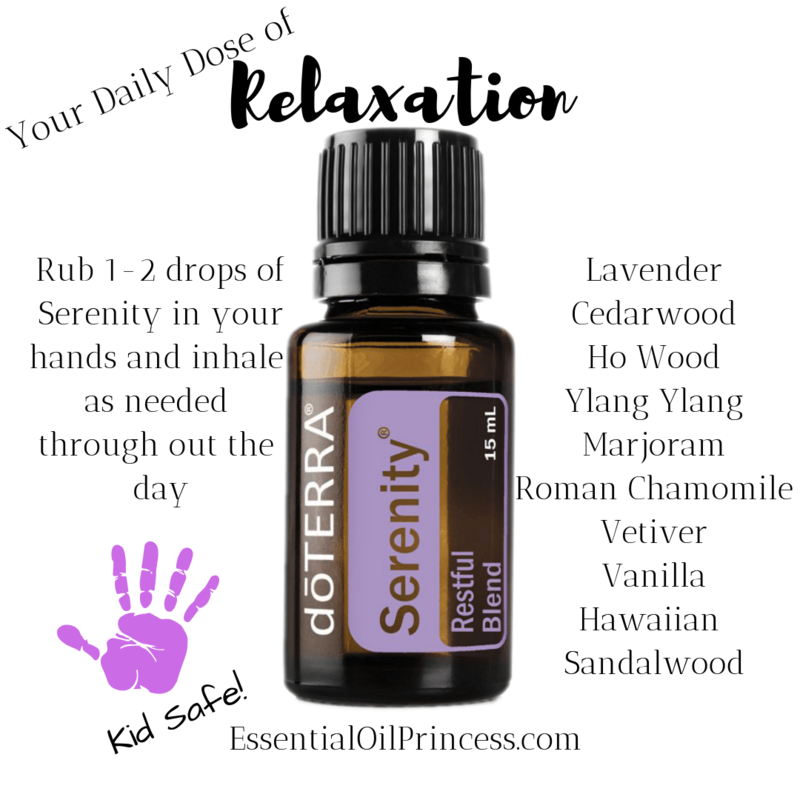 Serenity – Daily Dose of Relaxation! **Serenity has been a game changer for my mental health! When I’m feeling anxious, I inhale a drop from my hands for a couple minutes. Love serenity! **Serenity has finally made it possible for me to sleep through the entire night, and wake up rested! For years I would have totally intense dreams that would wake me up, and then I would have too many anxious thoughts to fall back to sleep. Diffusing serenity every night helps me feel relaxed and actually get the deep sleep my body needs! **I have been struggling with falling asleep for about a month now. Going on 4 hours of sleep nightly was driving me insane. Decided to try Serenity for the 1st time. I was asleep in minutes!! Serenity, where have you been all my life? **I was struggling with mood and hormone levels after I had my second baby… really struggling. Serenity was a huge life saver. It allowed me to sleep deeply and peacefully and get rest (needed when you have a newborn and toddler). It also helped me feel so much more peaceful and combined with Balanced helped me feel like I could do it. I could make it with 2 babies. Totally saved my sanity and my marriage.